Writing, besides being a very quiet, sometimes, lonely career, is also very sedentary. New York Times bestseller, but be in such ill health, I can’t enjoy my success! Being a self-proclaimed active person, I sometimes thought I would go crazy with all that sitting! So, here are a few things I have come up with that have helped me stay healthy and active! Practice proper posture. I know. It’s so easy to slouch when you are sitting at a desk for hours on end. Or turn yourself into a pretzel trying to stay comfortable. (And this is coming from someone who finally just gave up and wrote the entire first draft of her novel sitting on her bed!) Having a good desk chair helps. Every once in a while stop and readjust your seat and make sure you are sitting up straight. Save your eyesight. Your eyes are one of the best assets you have and they can get really tired staring at a computer screen for long periods of time. Just like with proper posture, taking a minute to close your eyes or glance away from the screen can save you a headache at the end of the day. Looking out the window at something in the distance helps to relax your eyes too. Get some sunshine and fresh air everyday. Not only is it good for you, it helps clear your mind of the cobwebs of work or trying to figure out where that plot twist will go! Take your vitamins. And drink water. And eat healthy. Yeah, all that stuff mom taught you is true. My favorite remedy to stop a cold in its tracks is elderberry syrup. So, how about you? 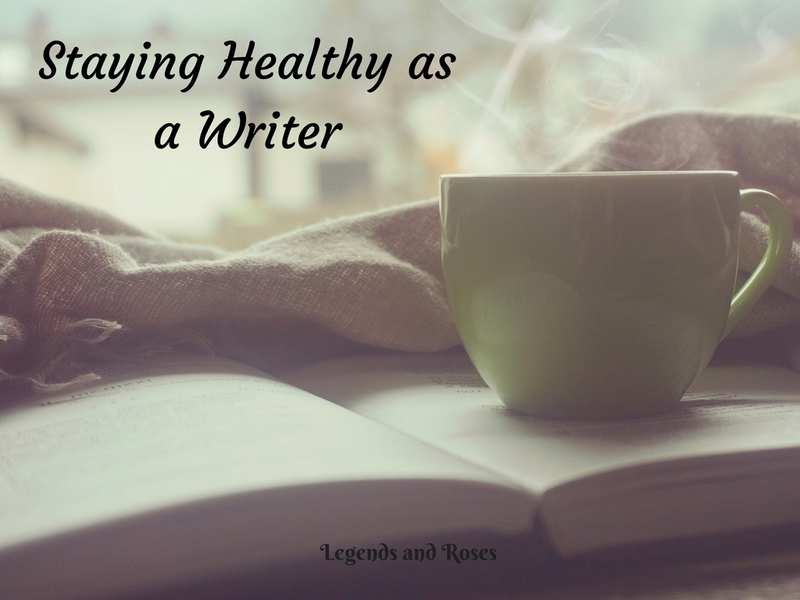 Do you have any tips for staying healthy in the winter whether you are a writer or not? These are all great tips, Candace! I especially echo the ones about hydration and exercise. I always drink tea when I work on my writing, and I try to fit in at least 30 minutes of walking 5 days a week and an hour of yoga each week.